This page will help you integrate your WebExtension with Firefox Accounts. 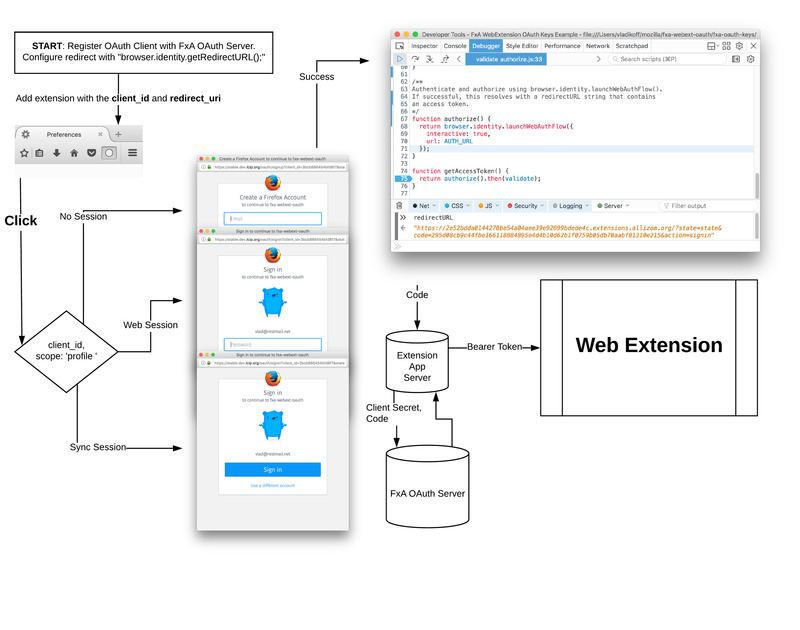 Before beginning this process, make sure to read about the Firefox Accounts OAuth API. Your WebExtension must register as a Firefox Accounts relier with a specific WebExtension redirect URL. 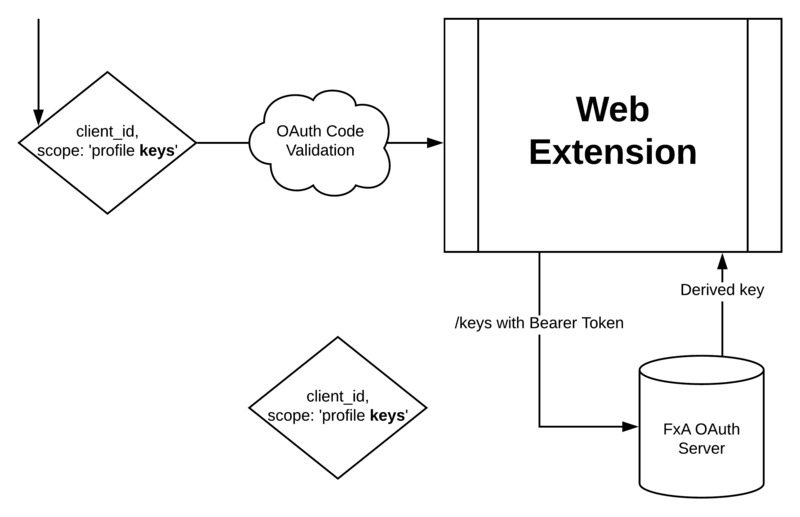 Besides just getting the "Bearer Token" (as seen above), there is a plan to provide a way for reliers to fetch keys derived from user's FxA password. To get a derived key the relier can request a `"keys"` scope in the OAuth request.